Mystras was a fortified town in Peloponnese, on Mount Taygetos, near ancient Sparta. It lies approximately 8km west of the modern town of Sparti. 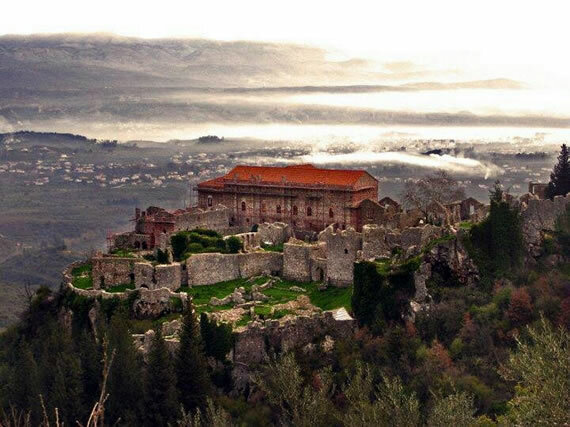 In 1249 Mystras became the seat of the Latin Principality of Achaea, established in 1205 after the conquest of Constantinople during the Fourth Crusade & Prince William II Villehardouin, a grand-nephew of the Fourth Crusade historian Geoffrey of Villehardouin, built a palace there. In 1261, the Latins ceded Mystras & other forts in the southeastern Peloponnese as ransom for William II, who had been captured in Pelagonia & Michael VIII Palaeologus made the city the seat of the new Despotate of Morea. It remained the capital of the despotate, ruled by relatives of the Byzantine emperor, although the Venetians still controlled the coast & the islands. Mystras & the rest of Morea became relatively prosperous after 1261, compared to the rest of the empire. Under the despot Theodore it became the second most important city in the empire after Constantinople & William II’s palace became the second residence of the emperors. The frescos in the Peribleptos Church, dating between 1348 & 1380, are a very rare surviving late Byzantine cycle, crucial for the understanding of Byzantine art. 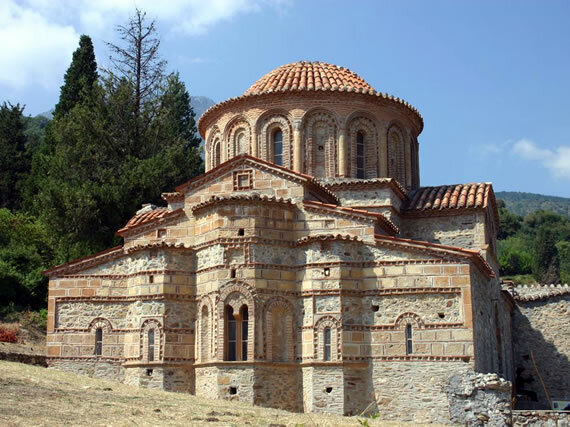 Mystras was also the last centre of Byzantine scholarship; the Neoplatonist philosopher George Gemistos Plethon lived there until his death in 1452. He & other scholars based in Mystras influenced the Italian Renaissance, especially after he accompanied the emperor John VIII Palaeologus to Florence in 1439. The last Byzantine emperor, Constantine XI, was despot at Mystras before he came to the throne. Demetrius Palaeologus the last despot of Morea, surrendered the city to the Ottoman emperor Mehmed II in 1460. The Venetians occupied it from 1687 to 1715, but otherwise the Ottomans held it until 1821 & the beginning of the Greek War of Independence. It was abandoned by King Otto for the newly rebuilt Sparta. In 1989 the ruins, including the fortress, palace, churches & monasteries, were announced UNESCO World Heritage Site.